December 19, 2013: The site has been down for a week with no sign of coming back. Moved to closed listing. 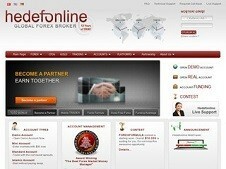 May 15, 2013: Add a listing for Hedefonline.